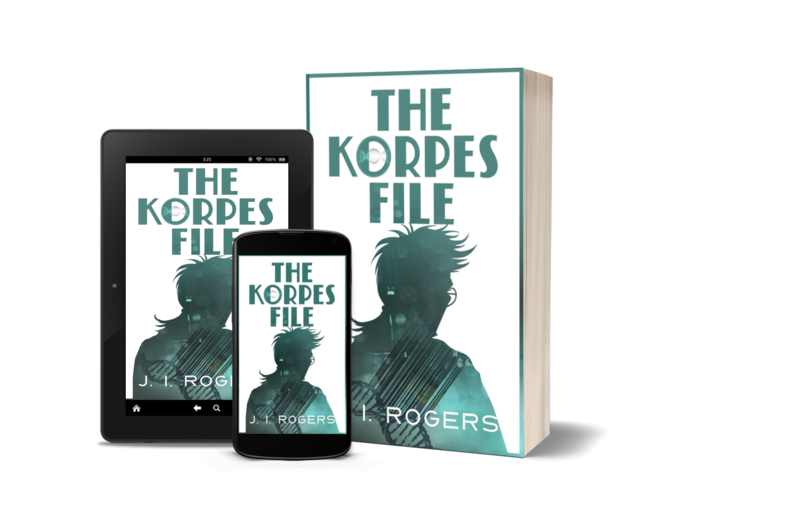 J. I. Rogers is green-eyed, ginger-haired, caffeine addict who is currently working on ‘The Korpes File Series’ of science fiction novels. When not acting as a conduit for the voices in her head, she’s a poster child for Gen X and the Queen of most boondoggles that lead to eye-strain and tinnitus. Q: What do I consider my ‘tools of the trade’? A: Pen, paper, fingers, computer, Wacom Cintiq and my squishy brain. Q: I’ve boldly stated that I’m an author, what now? A: The plan is to publish the books, then adapt them into graphic novels. I can’t ‘plan’ for them to be a hit, but that doesn’t mean I’m not keeping my fingers crossed. A: Tamyrh is the name of the planet I’ve set my dystopian space-opera series on. Q: And 942 – how is it relevant? A: It is a number that holds a deep, almost subliminal meaning for the main character. Q: When did I start this project? A: I began this series in October of 2012, and had the rough drafts for two novels by the spring of 2013. Q: Do I have an online presence? A: I can be found lurking online as J. I. Rogers, Mythspinner Studios, and variations on Tamyrh-942. Scribophile knows me as Jenn Rogers. Q: How many novels has this developed into? A: There are eight novels at the moment, and a plethora of short stories. (*Note: these dates are relative).